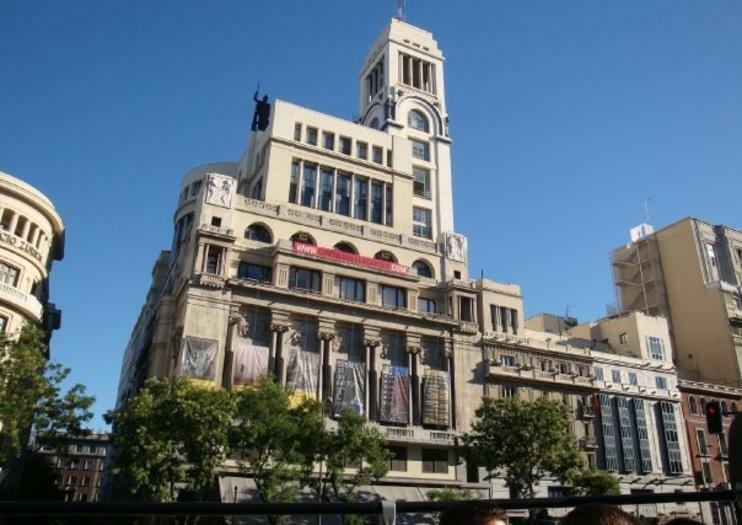 Círculo de Bellas Artes, private cultural non-profit in Madrid, has become one of Europe’s most impressive private cultural centers. The center hosts exhibitions, concerts, classes, lectures, film screenings and book readings, but it’s equally popular for its cafe and rooftop restaurant, where you’ll find some of the best views of Madrid. The organization was founded by a group of artists back in 1888, and the likes of Pablo Picasso and Jacinto Benavente have since passed through its doors. The building itself, designed by Antonio Palacios, was built in 1919 and was later declared a national historic artistic monument. During Carnival, the center hosts a swanky masked ball — one of Madrid’s fanciest parties. You’ll have to pay a small fee to visit the rooftop terrace, but it’s worth it for the views. If you have limited time in Madrid, feel confident that you're seeing the city's best on this full-day tour that combines art, history, and authentic Spanish cuisine. Marvel at the treasures of the Royal Palace without the crowds thanks to early access, and skip the line at the Prado Museum to save more time for the masterpieces. In between, visit a historic market for a tapas and wine tasting, stroll down the city's most famous promenade, and soak up the views from an exclusive rooftop terrace. Beat the crowds with this early-entry admission to Madrid's Royal Palace, an hour before it is open to the public. Take a guided tour of the highlights, then head out into the city and the neighborhoods for a carefully-curated city tour and stops at some local markets to enjoy wine and cheese tastings. End up at a panoramic viewpoint to gaze out over the city's rooftops and take great photos. This tour enables you to see the highlights of the city in just half a day, great for those travelers short on time. See the best of Madrid on foot with this walking tour of the city. Your enthusiastic local guides will take you to many of the city's most important attractions, including the House of Cervantes and Lope de Vega, the Palace of Santa Cruz, and the Square of Santa Ana, where you'll learn all about Madrid's cultural history and the lives of some of its most celebrated writers.